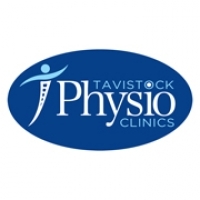 Here at Tavistock Physio Clinics we believe it is vital that people follow a safe and structured programme of exercise. 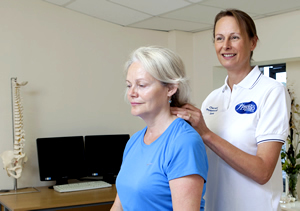 Whether that's specific rehabilitation prescribed by your physiotherapist or a rehab programme to help you meet your own goals of health and wellbeing. Our Health & Rehab Gym has been specifically designed with the needs of our patients in mind. We have our own onsite fully qualified Sports Rehabilitator. Wendy has many years experience rehabilitating service personnel and civilians helping them to recover from acute and long standing problems. 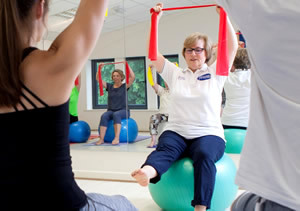 All of our rehab and gym classes have been carefully selected to meet the needs of our members and patients. 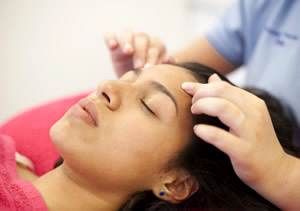 They are run by fully qualified and experienced professionals who all share our ethos and thinking. See below for more information about our classes and for our class programme. 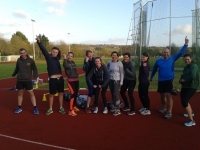 The Tavistock Physio Clinics fit camp is an 8 week programme led by Sports Therapist Ellie. The boot camp gets progressively harder as the weeks go on. We have testing for upper body, lower body and core in weeks 3 and 8 to show your improvement. Every session is different and designed to work your entire body with a mixture of circuits (body weight and with equipment), running, team games, plyometrics, boxing and more. All abilities are welcome and ages 16+. Our WOW classes offer a comfortable, women only environment to workout in. The circuits will test you but at the same time have been professionally designed to allow you to work at your own level. Our Balance and Mobility classes are intended for anyone who is finding their balance needs improving or may be at risk of falling. The purpose of the class is to give advice and support to do the correct exercises to improve your core strength, joint mobility and help prevent falls. Our rehab classes offer the opportunity to extend your treatment programme under the supervision of our sports rehabilitator. Our Knee & Hip Rehab class is a specialist class for those wishing to rehab their knee prior to any knee surgery or rehab after surgery or injury e.g. ACL injury or cartilage damage. This class will give you a gentle, balanced workout with the focus on strengthening the core abdominals that do so much to support your back, improve the quality of your movements and keep your spine flexible and strong. Classes aimed at improving your core strength and control to improve stability and performance. You core is at the centre of the majority of sport related movements as well as a key facilitator in more complex movements your body makes. This class will include exercises that are designed to strengthen your gluteal muscles around your hip and pelvis. Our current programme of Rehab and Gym classes is shown below. 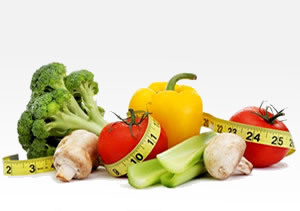 We also offer Pilates Classes - click here for more details.